San Francisco fire crews were kept busy Tuesday morning dealing with a fire and then a car crash that sent five people to the hospital with critical injuries. Pete Suratos reports. 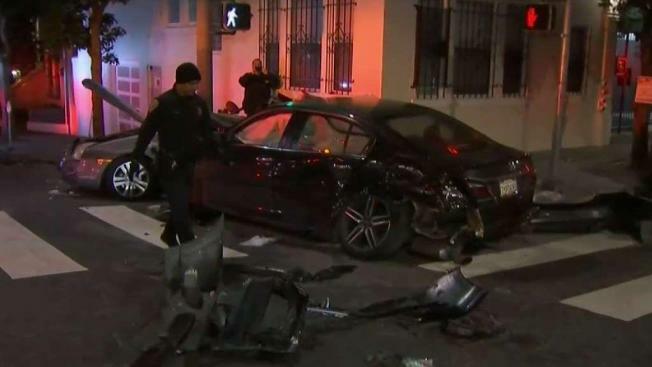 Five people were listed in critical condition following a multi-vehicle crash in San Francisco Tuesday morning, according to fire officials. The crash happened at about 5:30 a.m. in the area of Gough and Bush streets, police said. The patients have been transported to a local trauma center, according to fire officials. 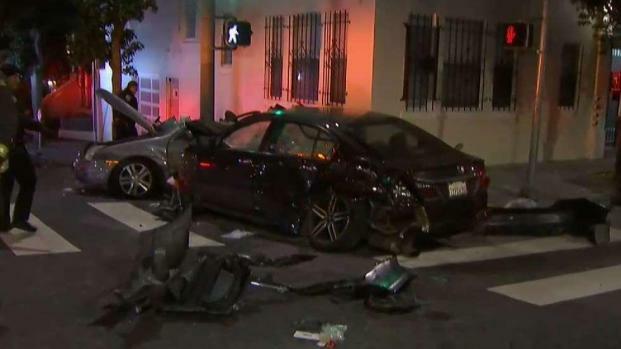 Four people are listed in critical condition following a multi-vehicle crash in San Francisco Tuesday morning, according to fire officials. Pete Suratos reports.